If you are planning to spend your holidays in Florence, one of the most beautiful and famous cities in the world, visit our webite: you will find a selection of holiday villas for rent in Florence (luxury villas, villas with pool, villas in Florence countryside and dominating the city), among which to choose the accommodation that meets your requirements. Piazzale Michelangelo is Florence panoramic terrace. After having visited the wonderful church of San Miniato al Monte and the monumental cemetery of the "Porte Sante", walk down the rampe to reach the Lungarni and the city centre. 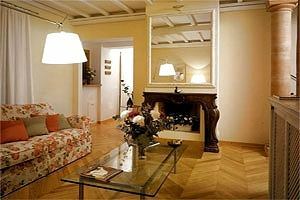 Rent a villa close to Piazzale Michelangelo for your next holidays in Florence. 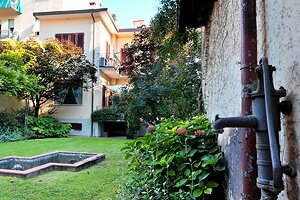 Holiday apartments in pretty villa on the southern outskirts of Florence, in the vicinity of Piazzale Michelangelo. Accommodation for groups of 4/6/8/10/12 people. Air conditioning, Internet connection. Just a few minutes from Florence historical centre.